As you know, your bike and suggestions were a good step to the choice ;) thanks again. Megadan, thanks for detailed reply. I'm now interested in Cofmans even Werkes is on a way to the home. It really shows VFR in new dimensions for how it look. Do you have OEM panniers or aftermarket? I do have OEM ones, and I took a risk with Werkes. If it start to heat up panniers, I believe I can adjust it in local exhaust work shop. For ECU flash, email has been sent to Guhl few months ago. Answer didn't come. I will try it in some time later again. In 2014. I visited EICMA show. 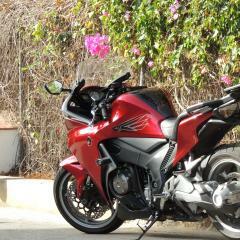 I sit on every bike, try every ergonomics, interested in few bikes. 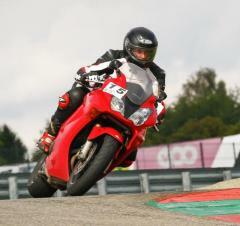 VFR was the best value bike. I looked many videos, reviews, test, I didn't find much complains for suspension, everyone gave many thanks for chassis. 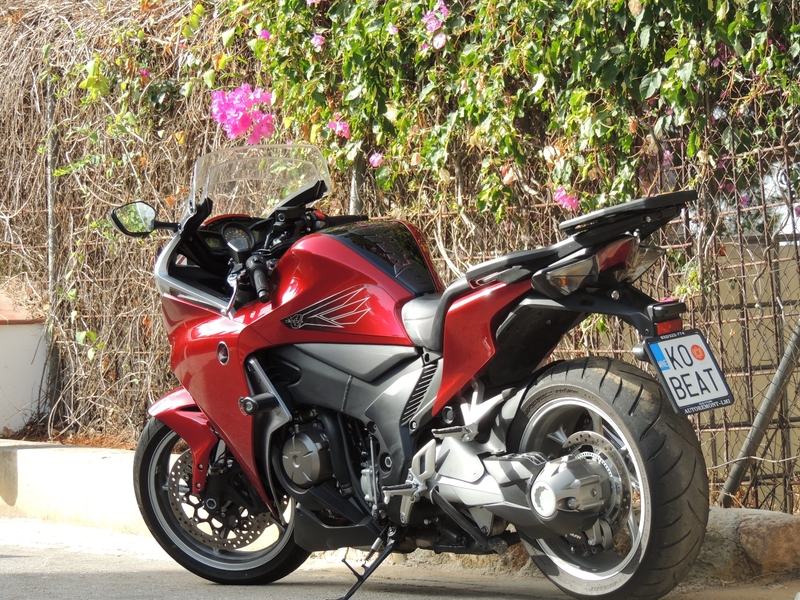 As same, it was ok for my riding style, first 10000km. After that you can guess for the rest. I try few more sportier bikes, I I can't understand why Honda went so much cheap with suspension, cause this isn't a cheap bike at all. And I believe no one didn't buy it to ride so slowly and plushly. Ergo of the bike is telling another story, do it all motorcycle.